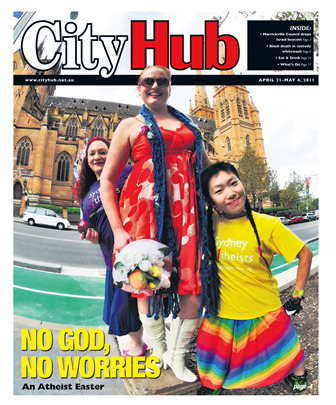 Sydney's alternative newpaper City Hub feastured Fleur, Carrie, and Kerry prominently on their April 21 cover. Journalist Kieran Adair of City Hub spend the entire day on the bus to report on the Chaplaincy and Census campaign. Read also the interview with Fleur and Andrew inside.